I develop my web applications on a local server environment using MAMP Pro (MAC) and XAMPP (PC). There are hundreds of reason for developing locally with a PHP/MySQL/Apache environment before jumping onto your live server (speed and security being the big ones). But what if you need to test your applications not only on your desktop browsers but also on your smart phone/iPhone or tablet/iPad? * It’s a bit more complicated then just working online, you need to find a way for your devices to access your local working environment. Lucky it’s easier then you might think. *Everything I explain will work for most website installations (not just for WordPress installs, but there’s extra instructions at the end to help smooth out a few things that might frustrate you if you’re using WordPress). 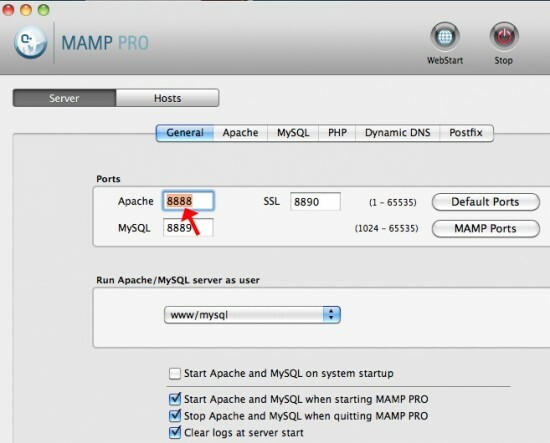 First make sure you have MAMP installed on your machine. 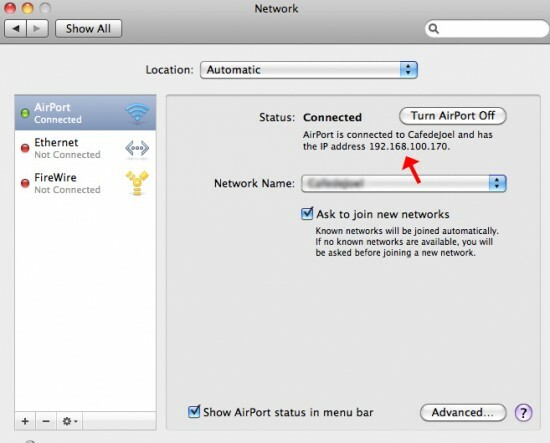 Next step is to get your IP address on your MAC > System Preferences > Network > AirPort. Now you’ll need the Apache Port from MAMP. (default is 8888). First (and always) backup your database before making any major changes to your site. Log into your wp-admin go to > Settings > General. You need to change both the > WordPress Address (URL) and the > Site Address (URL) to match the new IP address. So in this example below you can see that I was working in a localhost and now I’m am changing them both. So From http://localhost/example-site to http://192.168.1.29:8888/example-site. That should do it! If you have any problems leave me a comment and I’ll see if I can help! I’m definitely going to check out Gas Mask! Maybe I’ll post this at my own blog soon. Wow that would be awesome! Have you written this up yet Bart? Very nice Bart 🙂 when I restarted my machine, my IP address changed and lost what I did before in admin – so writting in wp-config is safer / i couldnt access admin url. Any time I edit wordpress site url I immediately can’t even work on my site locally, never mind viewing it outside my network. Even editing config.php and database settings, it all renders my site and dashboard unusable and uneditable. Thought with a mac i would be lucky lol. Sorry about that dave, it was directed at you! I’m glad that did the trick for you! I would just recommend using an iOS simulator although I did think this was cool for testing on a device in the office when sitting down with a client. Nice work. Awesome tip, it worked for me, thanks a lot!! Thanks for the tutorial. Works great for a single WordPress install, but do you know how you can do the same with a WordPress multisite install? Been trying to do that for ages. I haven’t tried it with a multisite install…if I do end up playing with this I will let you know what I come up with, and if you happen to figure it out feel free to share! Did you manage to use it with a multi site??? I’ve changed the IP address and the WP address and now I can’t get back in???! I don’t think the multi site would effect this process? Just replace the database w/ the backed up copy and try it again. Maybe you made a small typo in the IP address. When I do this, I can’t see any of the images on the iPad? Any help much appreciated. I’m very amateur! I think I might need a bit more info? So you can see you site on your localhost via your ipad/iphone right? Is it your stylesheet that’s not making the connection? 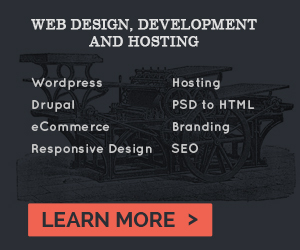 Do you have to update your website links? I have a weird issue when trying to view my local wordpress site (which is hosted on my mac with mamp), on my PC. The weird thing is that all the links are ok, AS on the other pages. When I try to show independently an image that wont show in a new tab, it still doesn’t work. Do you have any idea of where it can come from ? This could be a number of issues? I think I would have to see the problem? Can you send me a link to the problem site, or are you just working locally? What theme are you using? 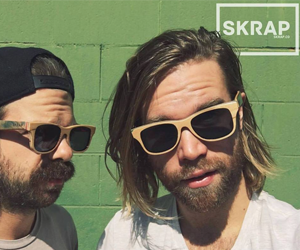 Awesome trick! works prefectly. Thanks. Super easy, works perfectly. Thanks!! Thanks for this, although I am using DYNDNS, which allows a free domain eg blurb-blurbedy. dyndns .info/ to point to the MAMP HTDocs directory, then just finish with the name of the site/directory within where your files (site) are/is. What I would like to be able to do is to connect the iPad & iPhone for testing (and more importantly showing/previewing to client) a MAMP site locally on the laptop, and also to be able to show on a tethered iPad/Phone using just the usb cable when wifi is not available. Perhaps someone know’s an app? I guess it depends on how many people you want to be able to see it before you add it to the app store. If it’s less than 100, you can use ad hoc distribution. For that, you don’t use the app store, you can just send the app to people by email or put it online. (You’ll need the device IDs of anyone you want to be able to use it). Does that help? Very well written – the best of 4 other similar posts I’ve read. Are there some permissions I need to check? I’m new to WP and just installed it (3.5.1) and loaded the Responsive theme. No changes, just trying the vanilla version. OK, problem solved: I had to also enter the IP into the WP address box (in addition to just in the Site Address box)…see your WP Step 3 instructions above. Glad it worked itself out! I love this. Cheap and easy. Thanks! If you ever get a chance to post about the multi-site set-up, please do. You can also use the computer name instead of the IP. Styling is there and everything works great except that the images are not loading. WP tells me the url is not valid..? then I changed it directly in mamp, as I used to do, and still not showing stylesheets on ipad but it does on computer.. ? Just wondering if the WP address and the Site addr were saved within WP local associated files? If so can you access them or change them there, or is through the admin the only way? Please can someone help me? Thanks! This has to be the best way I’ve found, for me anyway, no faffing with host files etc. By the way I’m using XAMPP on my MAC, so XAMPP isn’t PC users only. Also XAMPP is free and very easy to use. By the way I’m using Vagrant now VVV to be precise. Thanks for the compliment, I’ll be updating my site very soon, oh how time flies. I’m using mamp pro and I changed my Apache port to 80, MySQL 3306, SSL, 8890 so that I wouldn’t have that :8888 at the end of my url. try changing the directory permissions from "None" to "access files" as a first step if this doesn’t work let me know. Does this típ work with free version of MAMP ? Yes it should also work with the free version. Where are you getting stuck? Beautiful! Just hope my last number in my ip does not change. Afraid it might, and then I have to go through phpmyadmin and change it. Well…my IP did change! And now I am fixing the adress in the database. Not that great. I think I was just overwhelmed with the amount of walk-thru’s I found, so I just gave up trying to make it work. I was in a situation today where I needed to access a MAMP install of wordpress from another macbook and subsequently from an iPhone and iPad…. I googled ‘wordpress MAMP LAN 2015’ and your post came in 3rd- when i started to read I thought I was wasting my time again… but I stand corrected, you nailed the exercise spot on- good job! The page you are trying to view cannot be shown because an error in the data transmission was detected." Now I cannot access my admin panel to change my settings back. When I access the site now, I see the content, but with no styles applied and none of the links working. Update to my previous comment: I was able to change the settings manually by accessing phpMyAdmin and changing the "home" and "siteurl" options there. Glad this worked for other people, but I will definitely be looking for other ways to test mobile sites. Hi tried to open my localhost webiste on ipad, but it saying "cannot open the page because too many redirects occured". before I export the database? Hope that makes sense. Thanks.